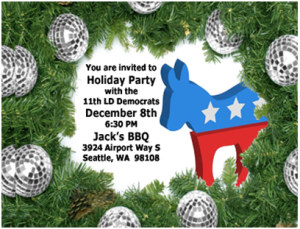 Just a reminder: the 11th LD Democrats are having their holiday party at Jack’s BBQ (3924 Airport Way S, Seattle 98108) at 6:30pm on Tuesday, December 8th. 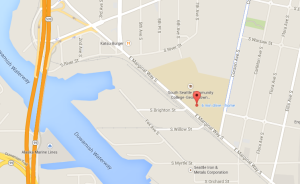 We hope to see you all there! 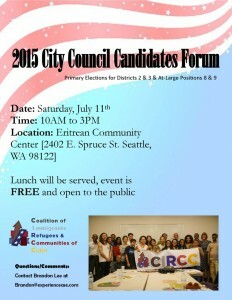 Be prepared for our endorsements meeting on June 16th!